In the beginning of 2012, the USDA released a new plant hardiness zone map that was the product of 30 years of data collection from all over the country. Zones are categorized based on several factors with the most weight going towards extreme average winter low temperatures. Other factors that have been taken into consideration are elevation, urban heat and proximity to a large body of water. 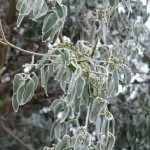 Although things like humidity, winter sunshine, soil moisture and duration exposed to cold temperatures are not factored in, it is wise for any gardener to start with the USDA plating zones. 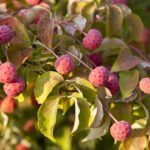 While the majority of the New Hampshire planting zones experience extremely cold winters with a chilly lows, many flowers, shrubs and trees can survive and thrive in this climate. It is always best to choose native species that are well adapted to specific growing regions and weather extremes. While the USDA New Hampshire zone map sets the standard for winter hardiness, it is not fool proof. Failing to properly plant or care for a flower, tree or shrub or a freak weather occurrence, such as uncommonly cold or warm temperatures, can injure or kill plants. Use the New Hampshire planting map as a guide but always be aware of other variables.